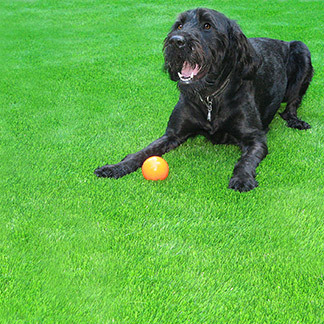 Own your own High River artificial grass lawn, and enjoy practically no yard maintenance, ever! Is it even possible for anyone to achieve their dream yard anymore? With no time to give it the overwhelming attention it requires, it’s hard to achieve the look you want for your property. 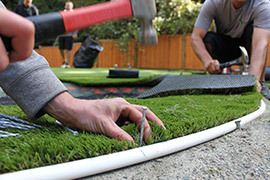 Forget putting in all that exhausting work and save yourself valuable time by switching to Precision Greens artificial grass. 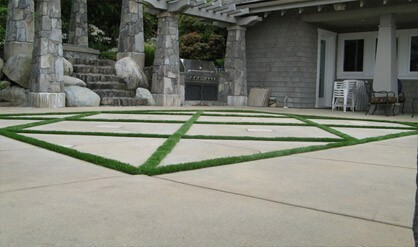 For the first time you can have the look and feel of a natural yard, with none of the back breaking work to obtain it. For over 17 years, we have helped design over 1100 golf greens and 3000 artificial grasses, with an unmatchable look and appeal. 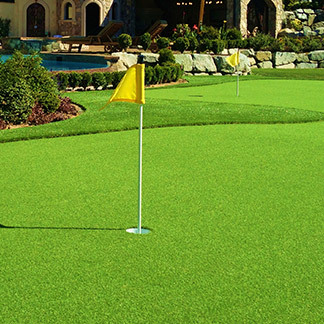 Let us prove to you, why we are nothing like your ordinary artificial grass and how Precision Greens raised the bar for all competitors. 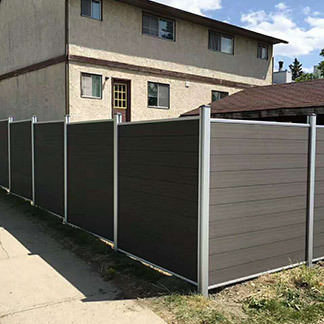 Here is how we can give you the best yard in High River. 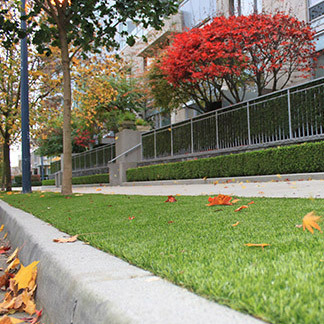 We’ll turn your boring, weed-covered lawn into the easiest and best looking lawn on the street. 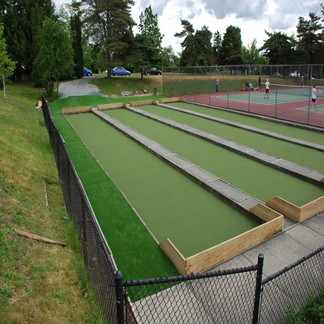 Variety: We offer various selections of quality artificial grasses that are perfectly suited for any area. Whether you want something casual or ultra-realistic, you’re sure to find the best fit and appearance for your project. 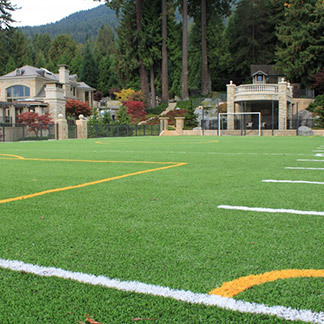 Realistic: The development of U shape and Wave Blade technology has created a product so life like, it makes it hard to distinguish from non-artificial grass. The shape, texture and colour perfectly capture the essence of natural grass blades. 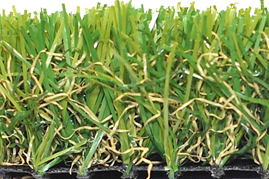 Design: Unlike normal grass blades, these are strong and durable. Other lawns become problematic and are at the mercy of the weather, but not our lawns, they will keep their luxurious look year round. Our grasses include an advanced UV protection that guarantees it will keep that healthy shade. Safe: Not only realistic and durable, all of our products are safe. Safe for children and the family pet to enjoy, it has also been tested and proven environmentally friendly. To top it all off, it is made from a non-flammable material, so even the mixture of barbecuing and dry weather, poses no danger. Comfort and Ease: Impressively designed, and extremely comfortable, it’s essentially maintenance free. Gone are the days of labour intensive chores, meaning you can enjoy the yard instead of work on it and have fun with all the extra time you gained. Low maintenance: With so little work to do to maintain that flawless look, all you will ever find yourself is with simple cleaning. Clean up has been made even easier by the unique structure. Any debris including pet waste sits high on the blades for easy removal, while everything else can rinse away with a simple spray from a hose and drain into the ground below. 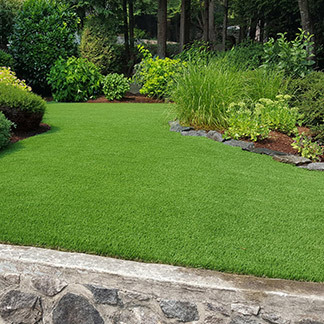 Reassurance: Every product comes with a 10 year product warranty along with a 3 year workmanship warranty to leave you worry free and ready to enjoy your lawn.